A very rare circa 1811-1826 Transferware Tea Cup or Bowl made by Societe Ceramique. 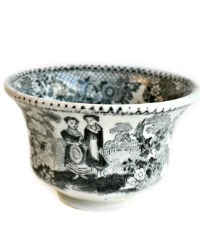 The pattern is called "Orphans", a deep ink black transfer design that features two young girls standing in a floral garden in front of a church. 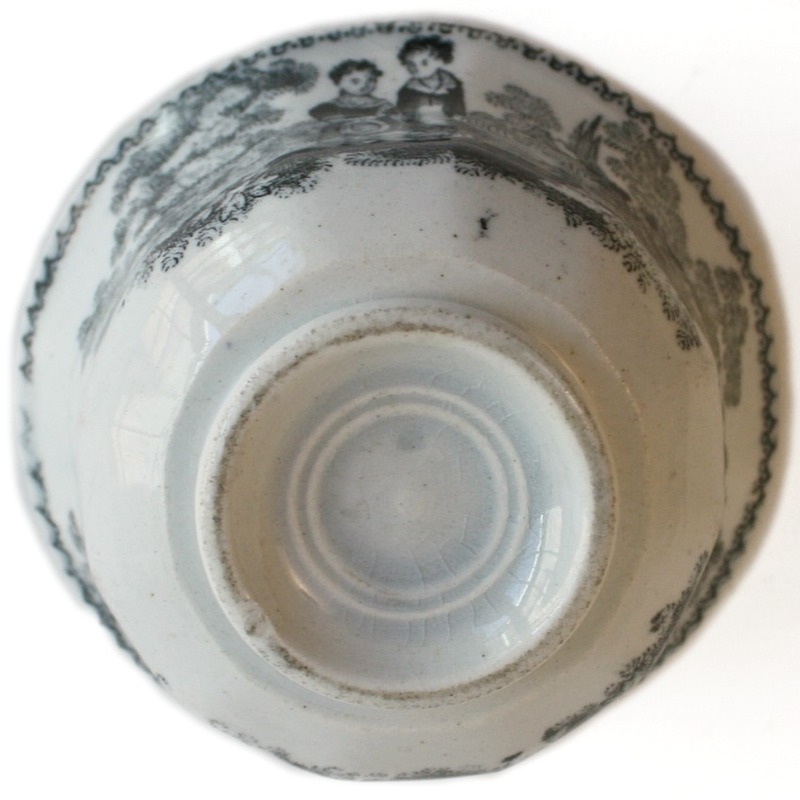 Inside the cup, amid the floral garlands and lacy patterns, is a center scene of the same bucolic village church. 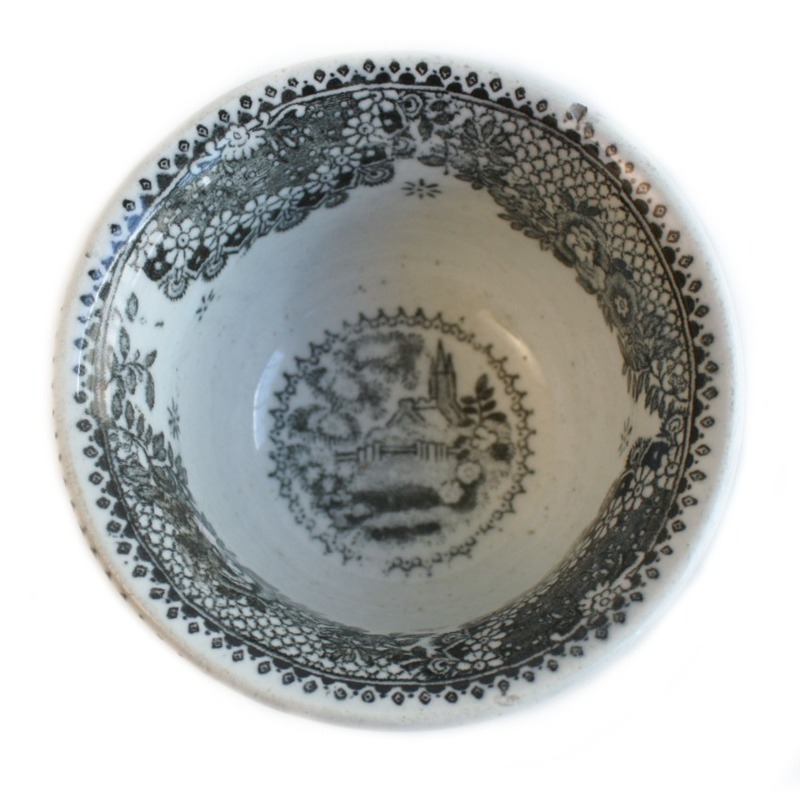 What a beautiful decorative tea bowl, from a time when tea was precious, and tea cups came without handles. 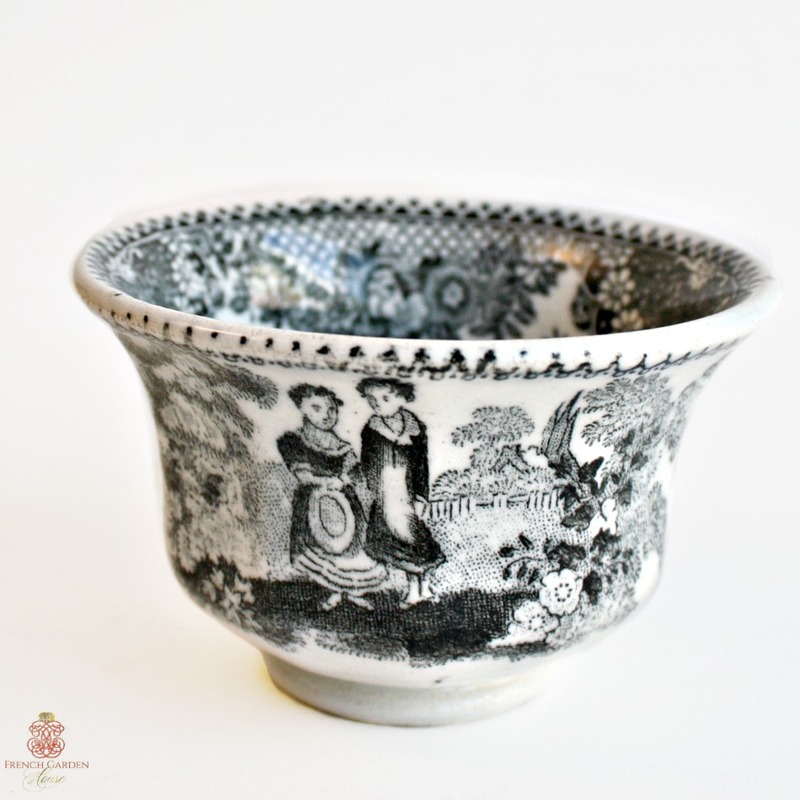 Fantastic pearlware glaze, this 200 year old cup is a treasure to add to your collection of antique French and English country transfer ware from the 19th century.